For someone who was as flamboyant and creative on the stage and brilliantly talented in the studio as the driving force behind one of the biggest rock bands of all time, Jimmy Page remains one of the most mysterious and least understood giants of music. Part of it is just in his personality to be quiet and let his work do the talking. Some of it is probably down to the deliberately cultivated aura of mystery that Page and his Led Zeppelin bandmates developed that has kept interest in them strong beyond the band's demise in 1980, and some of it is almost certainly the result of the endless speculation and misunderstanding by fans, journalists, and critics over the ensuing years. In any event, the story of Jimmy's life has never been told in a true memoir. 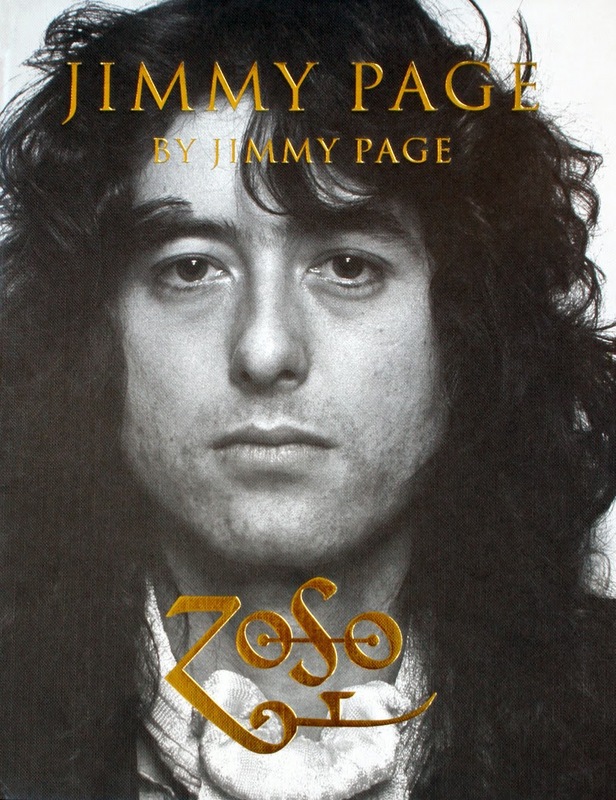 There are of course really good books about Led Zeppelin, good unauthorized biographies, and a wonderful collection of interviews with Jimmy over many years that is probably the closest we will ever get to an autobiography. However, there hasn't been a true book about Page by Page until recently. With the publication of Jimmy Page by Jimmy Page in 2013, the man himself has finally compiled his life story, albeit in his own unique way: through photographs. For his first true autobiography, Jimmy Page decided to tell his life story visually, starting with his childhood and running all the way to the present. In addition, this was to be a story about his lifelong marriage to music and the guitar and as such wouldn't focus on his personal life. Starting with his early teenage years, Jimmy uses photographs from various sources, including many from his own private collection, to tell the story of his life with the guitar. Starting out playing in local bands with his school friends in Surrey, where he grew up, in his late teens Jimmy gave up the rigors of gigging in order to eventually become the top session guitarist in London. He played on innumerable sessions ranging from rock records to commercial jingles, soundtracks, pop, jazz, classical, and everything in between. While this varied musical apprenticeship would serve him very well in terms of his playing, songwriting, and production in his later career, he began yearning to play in a band again. Having turned down an opportunity to join the Yardbirds when Eric Clapton left the band in 1965 (and recommending his schoolfriend Jeff Beck in the meantime), when an opportunity came to join the band again in 1966, Jimmy jumped at the chance. Replacing bassist Paul Samwell-Smith, Page originally joined on bass guitar before rhythm guitarist Chris Dreja switched to bass. This short-lived Yardbirds line-up, with Beck and Page on dual lead guitars, only produced a handful of songs and gigs, but the excitement they generated was palpable. Beck left in 1967, leaving Page as the sole guitarist to ride out the remainder of the band's career. Stifled by the Yardbirds' need to produce pop singles while they were simultaneously getting experimental and more psychedelic on stage, the band disintegrated in the summer of 1968, leaving Page with the band name, the manager (Peter Grant), and not much else. He set about putting a new band together, and the rest, as the saying goes, is history. Led Zeppelin would go on to be one of the greatest bands of all time and would establish Page as a guitar wizard, master producer, and genius songwriter. As such, the bulk of this book focuses on his career in Led Zeppelin. However, he made a lot of music before and after the band, and what's great about his book is that Jimmy chronicles it all. In addition to the aforementioned photos of Page that have been seen before, there are loads of rare and new photos in the book. The tour dates for each year are also listed, along with photos of his passport stamps (and his various passport photos over the years). Along with being another nice little personal touch, it hammers home the point just how hard he worked for so many years. The best photographs, in my opinion, are those that show Page off stage and in more normal (at least to us non-rock star folks!) circumstances. Backstage, at home, in the studio, on vacation...all of these photos really serve to humanize Jimmy and show that he wasn't the dark wizard he's been made out to be for so many years. Whether they are from his pre-session days, his session and Yardbirds days, the Led Zeppelin years, or the various projects he undertook after Led Zeppelin (including the 2007 one-off reunion concert they played at the O2), all of the photographs are wonderful and capture moments and moods in a way that words cannot. They also show a nice progression of a very bright, handsome, and energetic young man growing and maturing throughout his life and aging gracefully into the elder statesman of music that he is now. It should be noted that there are also paragraphs accompanying most pages where Jimmy explains what was going on in his life and career during that period while giving some context to the photos, so the book isn't entirely devoid of words. However, the beauty is that Jimmy lets the images do the bulk of the talking. If I have one criticism of the book, it would be only that Jimmy stays away from anything personal. I understand that he is putting all of the focus on his life and his music and emphasizing how intertwined they are. It's just that, beyond photos of him in the various houses he's lived in throughout the years, it would have been nice to see some more intimate personal shots, like of him with his parents as a child, the house he grew up in, his wives and lovers, children, etc. However, I'm nitpicking at this point and the lack of these sorts of photos certainly doesn't take anything away from how enjoyable this book is. While Light and Shade offered the closest Jimmy will ever give us to a written memoir, Jimmy Page by Jimmy Page gives us his life in photographs and is an essential guide to understanding this true musical genius. Amazing story! He worked hard to get to where he did. I am surprised to hear that he played other genre. They made him a nice rounded out musician. Indeed, his having to play so many different types of music during his session days is one of the things Jimmy always cited as making him a better musician. You van certainly hear it all in his playing.